As a tea drinker, and I am sure this is true for you, I adore teaware, from the chasen to the yixing teapot. Everyone has their favorites! I designed this series as an opportunity for tea drinkers to showcase the very special tea objects in their personal collections. Today's selections are brought to you by Philipp Aba ZeroZen Artlab. Phillip is a prolific photographer on Instagram at ZeroZen Artlab. He started his life with tea drinking from teabags as a boy. Without the influence of parents, Philipp "fell in love with Asian culture" as a boy. His first epiphanic experience with "the real good stuff" was with Sencha. The photos and stories below are courtesy of Philipp Aba. I owned much more on teaware in the past but sold some of it to a good tea friend. The reason? - In my tea development I made some major mistakes choosing way to big tea vessels in the past around 200-240ml. Some might think "That's not big!" but the more you dig into Gongfu cha the more you realize it's way to big. Now my teaware I daily use is mostly around 110-120ml which is perfect and those are my favorite ones. 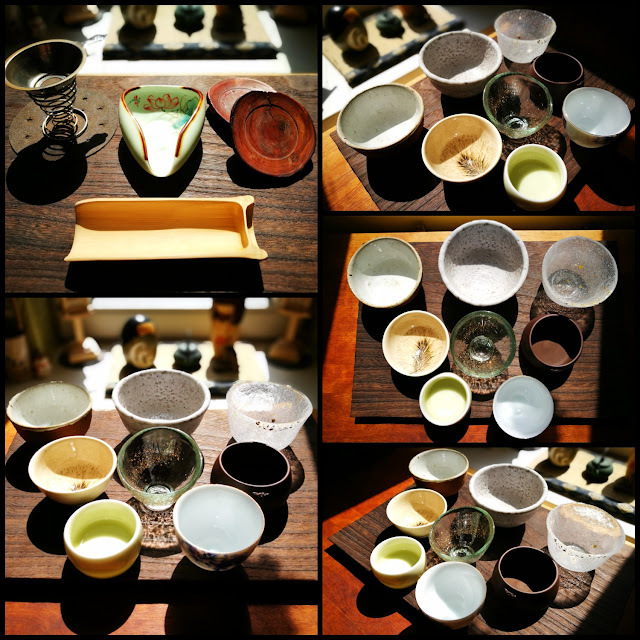 When it comes to teaware I deeply love European artists because they are majorly inspired by Korean or Taiwanese rustic earthy ways of creating teaware. 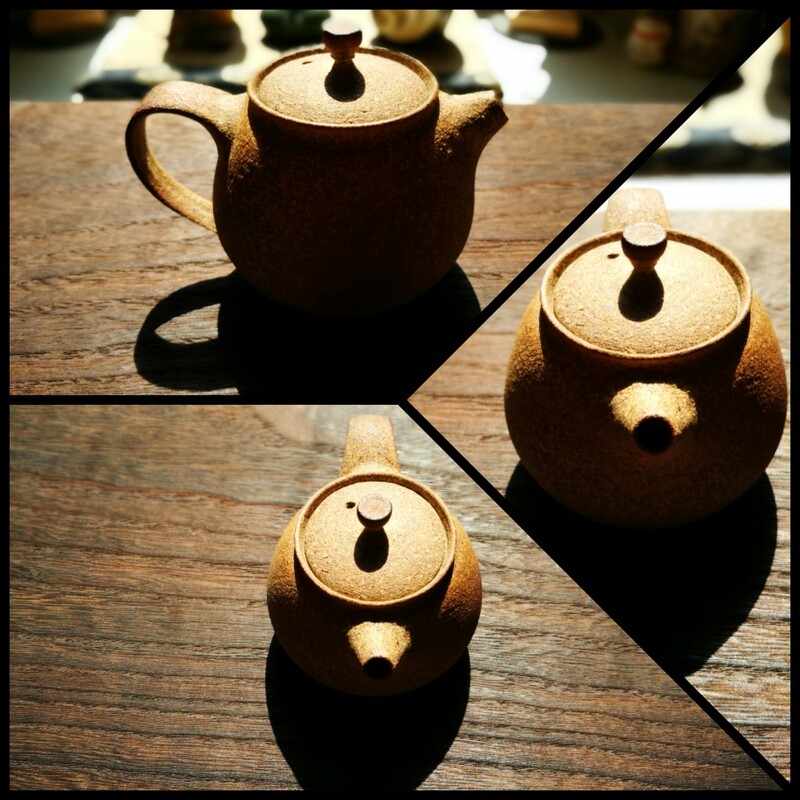 Speaking of it Petr Novák from the Czech Republic is my absolute hero when it comes to this certain type of teapots & co. My most beloved 125ml teapot is made by his skillful hands - what I love the most about it is its ancient rustic tree bark look. Nowadays it is quite hard to get hold on his stuff because it is sold within seconds. I hope I can get another one of this style one day. This unglazed one nearly screamed "Wuyi Yancha" to me and I never regret this choice. The stony texture of the clay suits this type of Oolong perfectly. Next in the row is Andrzej Bero from Poland. I do not even own a Japanese Kyusu anymore because I felt so much in love with the ones he creates. 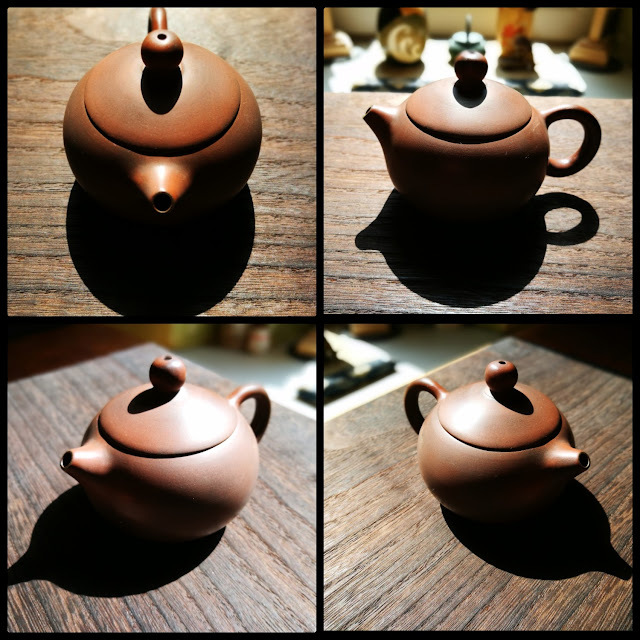 This round shaped 110ml pot is glazed inside/outside and I use it for all kinds of green Taiwanese High Mountain Oolongs and also Chinese Tie Guan Yin. The feel of the handle and the handling of the pot itself is just flawless. Next one of Bero is my beloved Korean and Japanese greens dedicated 130ml pot. It got a stronger thicker handle and a bit of a Korean type of pottery look I really love. This one is also glazed inside. Before we jump to the Chinese art of pottery there is one last European hero I discovered at last Jiří Duchek also from the Czech Republic. I only own one teapot and a lovely feather cup of him but I absolutely adore and love his work to the bits. This 120ml pear shaped tea pot smashed its purpose of being raw Sheng used with all its might into my face because this is what I use it for and it seems like this type of clay was made for it. Raw Sheng tastes pure, perfect and so well rounded and placed within this pot - it's like a miracle. This pot like most I own is unglazed. It is good to have 1-2 unglazed ones you can use for anything but I really love it to dedicate a certain teapot to just one type of tea. Because over the time you really can taste and scent the difference which evolves within this pots. The Yancha pots scent more stony and pu-erh pots more herbal and field flowery. Now let's jump to the Chinese territory of Craftsmanship. 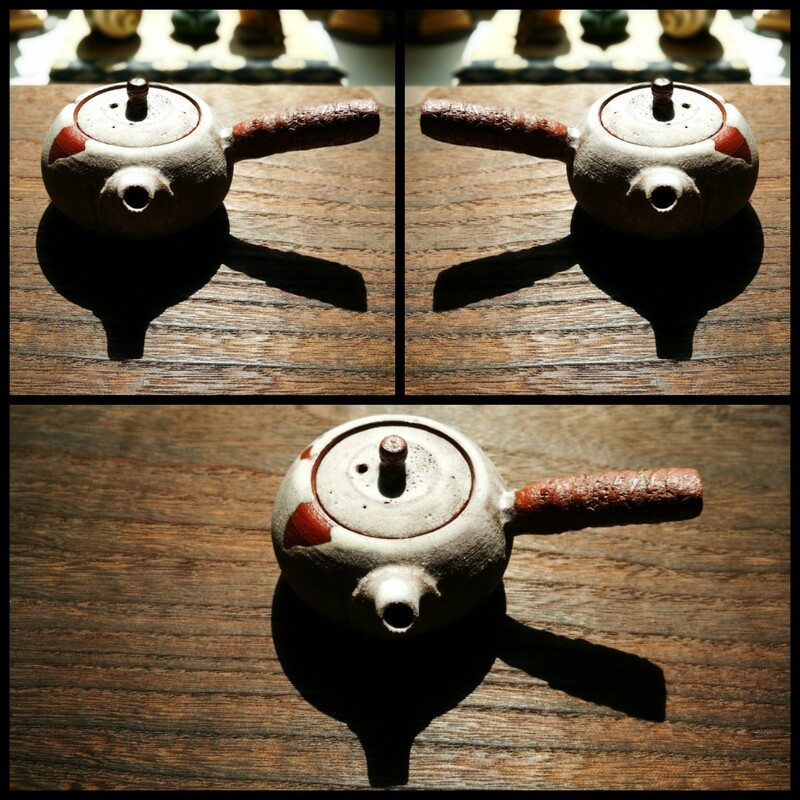 Here my most used and absolute hero is this fine Nixing teapot made by an artist called Li Changquan. Beside Yixing, Jianshui, Chaozhou and Jingdezhen porcelain Nixing is one of the famous types of pottery material in China. This type of clay is normally dedicated to Heicha like Liu Bao but in my opinion it is one of the best material to be used for raw or aged Sheng. I use this small 118ml unglazed Nixing pot for aged Sheng and again it is like if it was made for it. If I could recommend the perfect vessel for Pu-erh it would be Nixing for aged and raw and Jianshui for all types of Pu. Next in row is my beloved Chaozhou 120ml teapot. This type of clay is located in the same region as Dancong Oolong is grown. So most of the time it is praised to be the best for this type of Oolong and I can say that's freakin right. In this case it seems and feels like the circle finally closed and everything is in exact perfect balance and harmony. If you fell in love with Dancong's as I do there are only two options first Chaozhou and second Jianshui - nothing else. Beside the great craftsmanship I really love the wide open lid which makes it very easy to pour the tea in and watch it unfold. The last one is a Yixing in a very unusual shape. I really love the silky soft feel of this fine craftsmanship and those lovely carved Chinese ideographs. 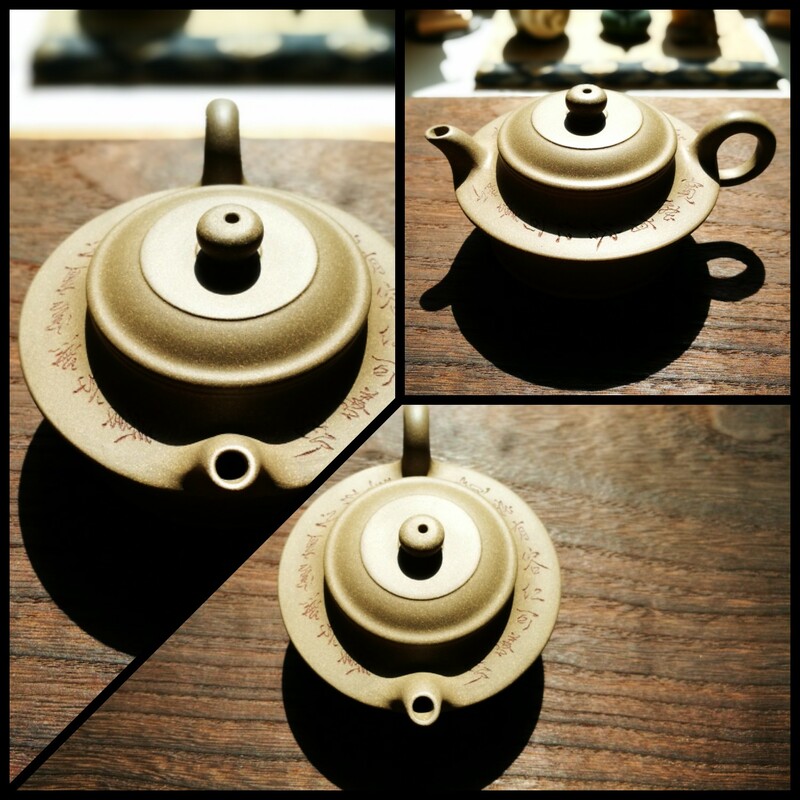 This 120ml Yixing pot is a type of Benshan Lv Ni and dedicated to Chinese greens only. This type of Yixing works like a charm for green teas. Beside the pots I love to collect and use different types of cups. From those named European artists to Jingdezhen - glass or celadon - For my personal use I like bigger cups but when it comes to photo sessions or drinking with my wife I use smaller cups in pairs. Last but not least my most used utensils are those coaster, scoops and this stainless steal strainer to keep all the dusty stuff out of my tea. So that's it for now. This isn't my whole collection but my most loved and used ones. And I am 100% sure this isn't the end of my collection at all. If you love tea you never can resist to fall in love all over again and again...and again. 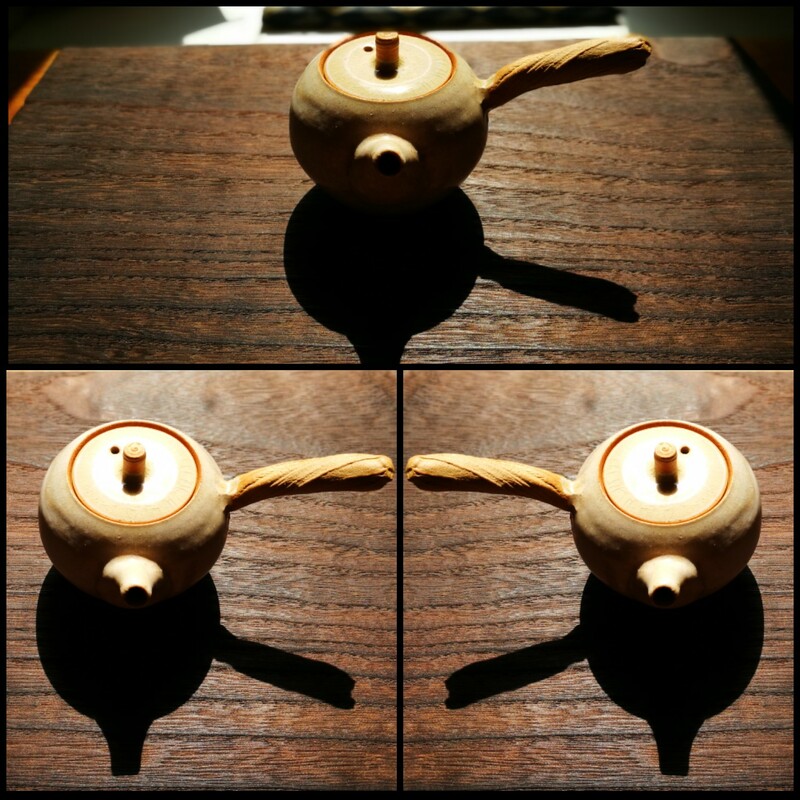 Philipp's were an introduction for me to teapot makers; I'd only known of Petr Novák. 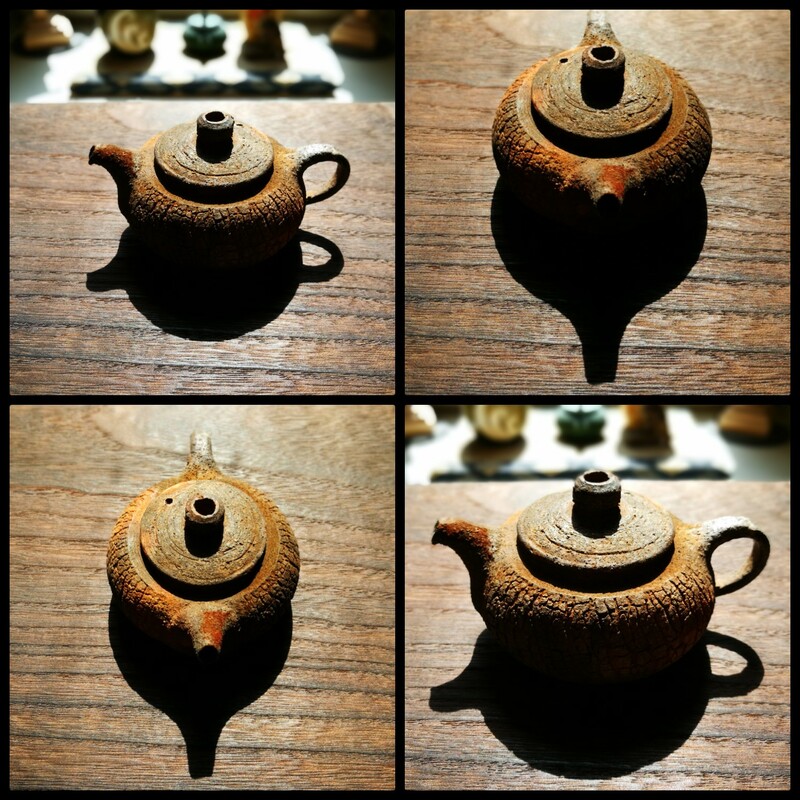 I also learned the names of different styles of teapots. I can see why the objects he shared with us are his "most loved and used ones"! 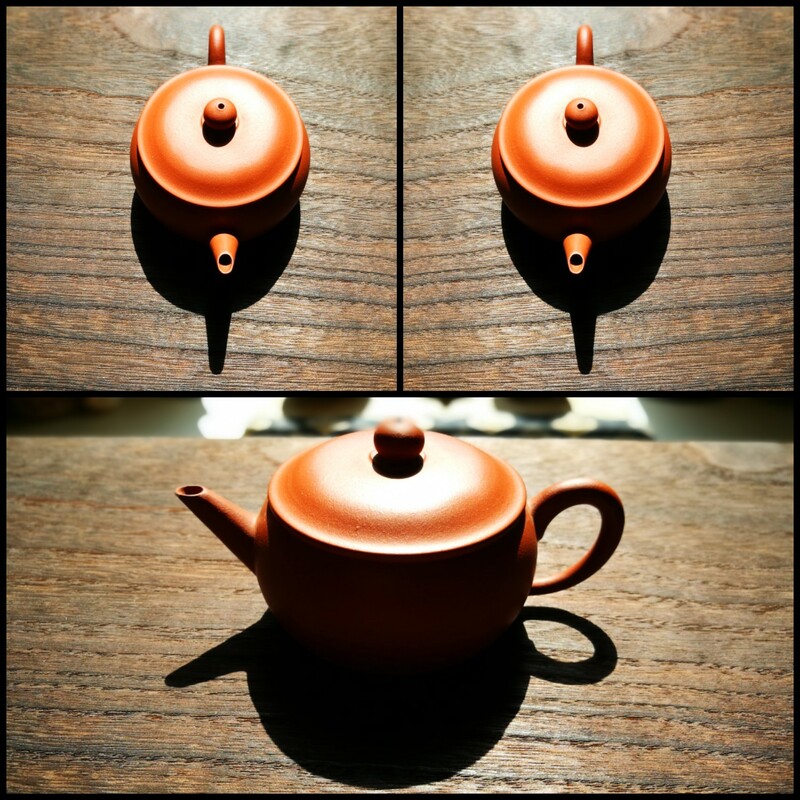 What do you think about Philipp's favorite tea ware? Thank you to ZeroZen for contributing to this series.